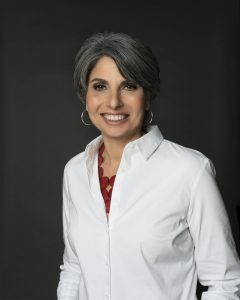 [Westfield, New Jersey, April 4, 2019] Stacey Singer, an agency growth specialist of 30 years, announced her recent departure from global powerhouse WPP (NASDAQ: WWPGY) (www.wpp.com), to launch a consultancy focused on helping marketing communication agencies retain and grow business. Ms. Singer said of the venture, “Agencies dedicate tremendous resources to winning new business. They have pitch teams, consultants, dashboards and best practices, but few agencies commit the same resources or rigor to retain and grow that business. This practice is particularly unfortunate, as nothing hurts an agency’s morale and bottom line more than the constant cycle of pitching, winning, losing and re-pitching business,” she noted. “Where many agencies go wrong is twofold: first, in assuming that their teams know what matters most to clients and second, that they have the skills to deliver what clients truly need. The frequent turn-over of business suggests otherwise,” Ms. Singer concluded. Stacey Singer Consulting specializes in helping agencies develop the skills and behaviors required to maintain and grow business, a significantly different skill set than that which is necessary to win business. Stacey Singer Consulting helps agencies identify the areas in which their current accounts are vulnerable and share how, through the integration of proven techniques, they can see immediate improvement and lasting success. Stacey brings a unique and experienced perspective to her clients. Over her decades-long career, she has successfully led numerous agencies—from a 3-person start-up to a 1,000-person turnaround. She has overseen operations for a large, integrated network and recognizes the importance of aligning the internal organization around the client goals and agency mission. Most recently, Stacey built and managed an industry-leading, global Client Satisfaction Center of Excellence for WPP, the world’s largest marketing communications company, and has the knowledge, insight, and forward-thinking vision to not only understand what truly matters most to clients but the ability to teach agencies how to identify at-risk business and what to do to keep clients happy. Stacey Singer Consulting focuses on helping agencies keep and grow business. If you would like more information about this topic, please call Stacey Singer at 908.313.6539, or email stacey@staceysinger.com.